When I lived at home with my parents, my Mum and I would sometimes stay up together watching American trash telly such as “Rock of Love”. It would get to about 11:00pm and I would turn to my Mum, pull my best sad face and tell her I was hungry. This would more often than not result in her getting up and making me her delicious flapjack. I have no clue what my Mum puts in hers (apart from oats, obviously!) but tonight I found myself craving a slice of syrupy goodness. 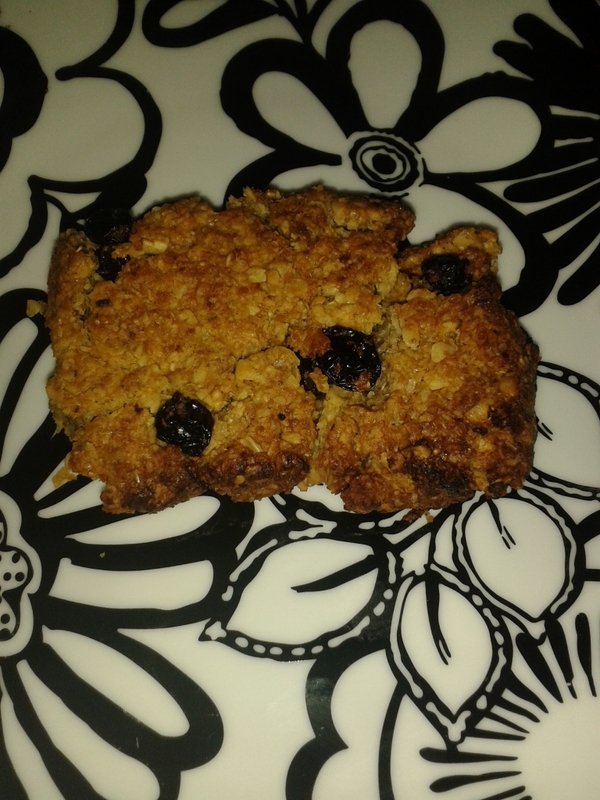 So here goes my quick and easy vegan flapjack. I’m going to say that this recipe serves two people, since I shared with the hubby, but to be honest I could easily have eaten it all in one go! Stick a small pan on top of your scales. Calibrate and add the marg. Calibrate and add the sugar etc etc until all of your ingredients are in there. 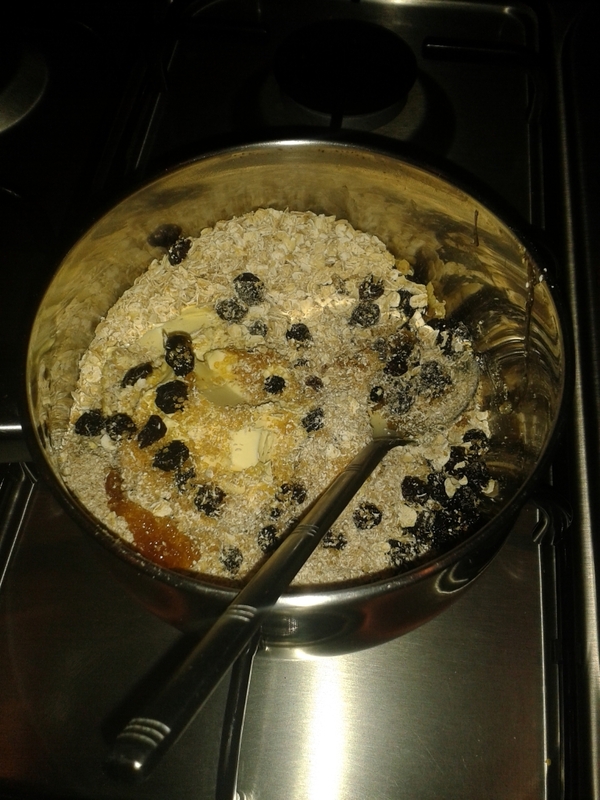 Next stir over a low heat until everything has melted together (don’t let it burn, there is nothing quick and easy about cleaning burnt flapjack mix off your pan). Pour onto a well-greased baking tray and flatten out until about 1.5 cm thick. Bake for 10 – 15 mins. The flapjack will harden as it cools so score out your portions with a knife whilst it’s still hot (Carefully!). 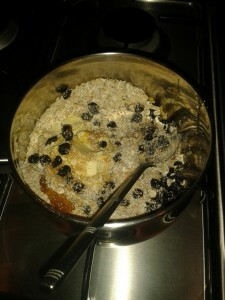 Try not to overcook the flapjack as the currants will become bitter if burned.